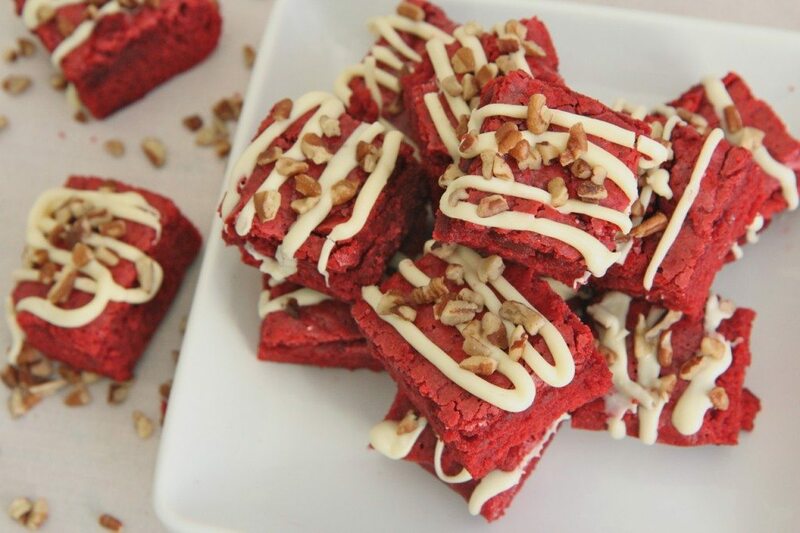 I was suppose to post these delicious, chewy homemade red velvet brownies around Christmas time and forgot all about them! Here it is almost Valentines day and they are finally making their appearance. Better late than never. I think it’s well worth the wait though. 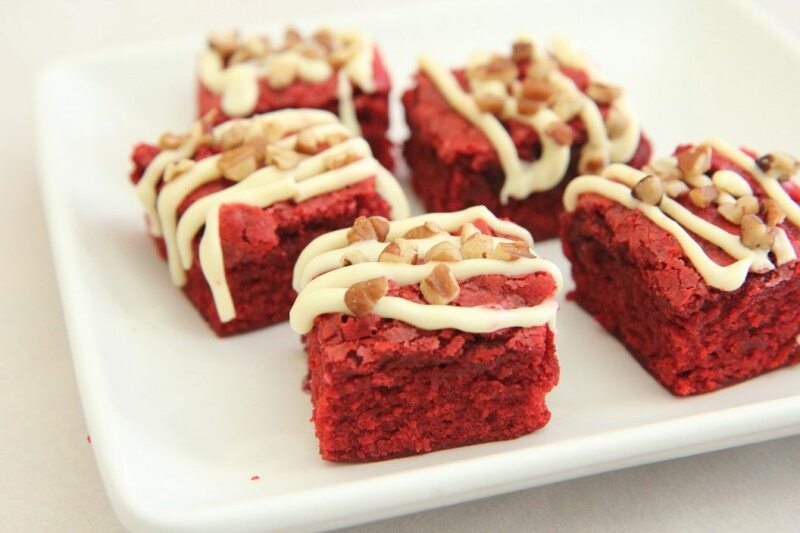 Seriously these are the best red velvet brownies I’ve ever had in my entire 21 years of life! 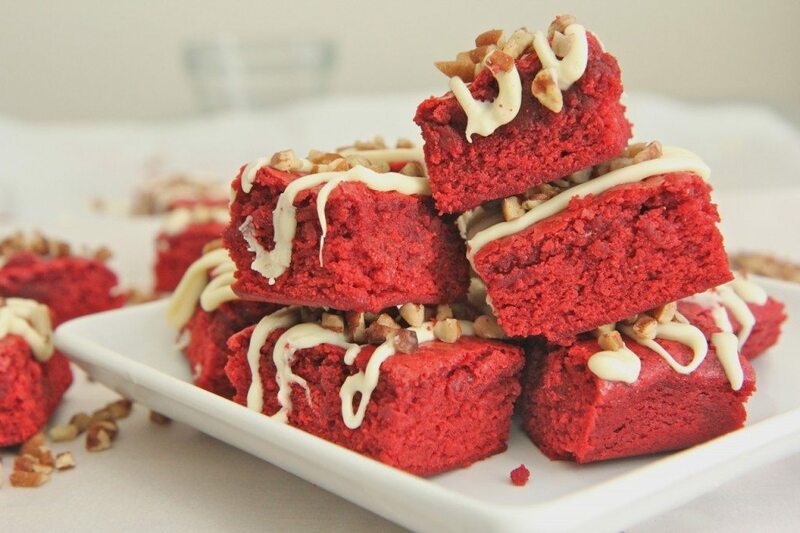 (Yes I’ve been 21 for many years) I’ve tried so many red velvet brownie recipes. Uhhhh no bueno man!!!! 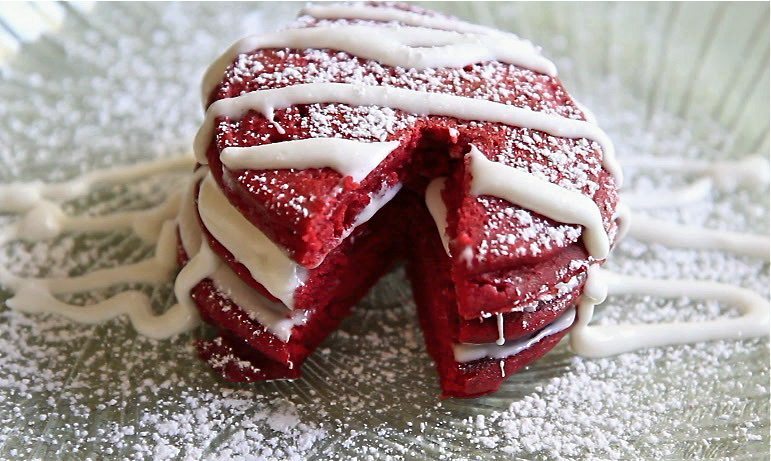 Red velvet is a very distinctive, delicate flavor. It has that slight cocoa flavor intertwined with a mild vanilla flavor and a very slight tartness from the buttermilk and vinegar. It’s the best flavor EVER when you get it right. 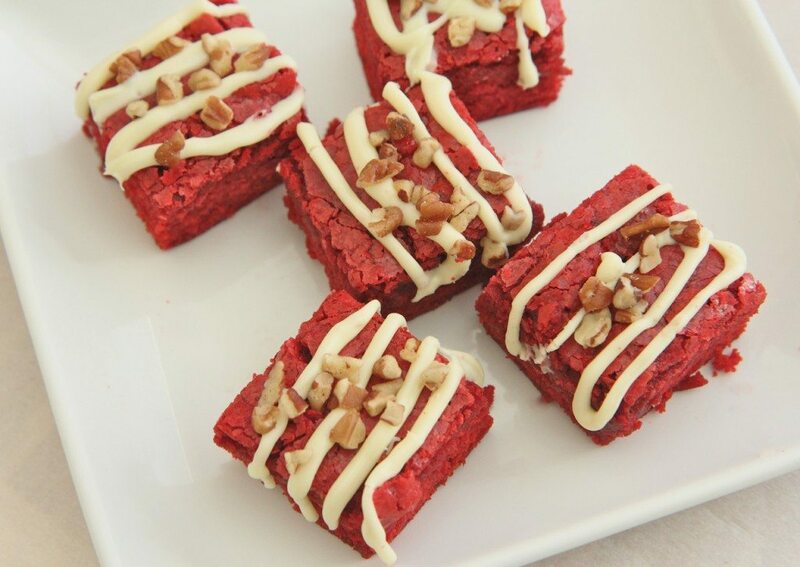 These red velvet brownies does an AMAZING job at capturing that perfect balance. Not to mention they are so soft and chewy with a slightly cake-like texture. I’m on a limited sweets diet so I’ve allowed myself one brownie a day. 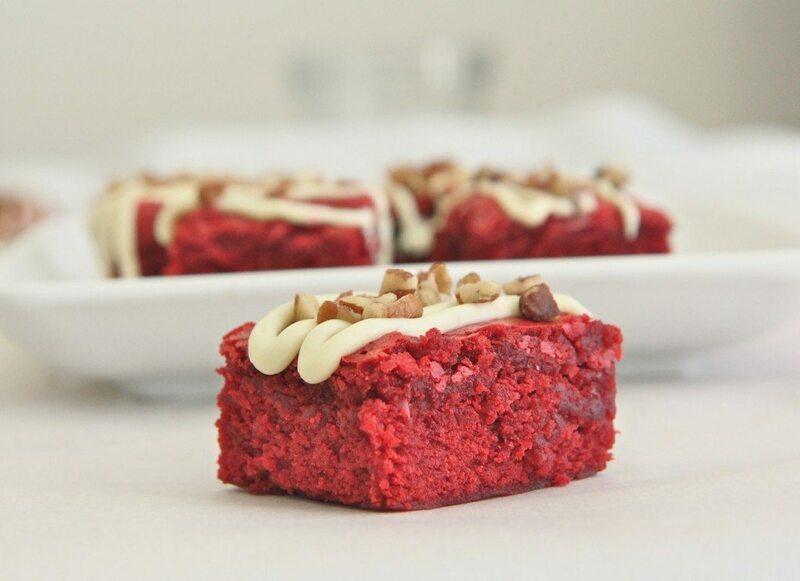 It’s the end of day 4 and I’ll be doggone if these red velvet brownies are not as soft as the day I made them! Usually I can never get homemade brownies to last more than 3 days without getting a tad bit dry. These brownies are fantastic plain and even better drizzled with cream cheese glaze or white chocolate. I wanted the glaze to harden up so I used white chocolate and added chopped walnuts. They were so heavenly and light. Cutting them into bite sizes was the perfect amount of sweetness and made them so fun to eat. 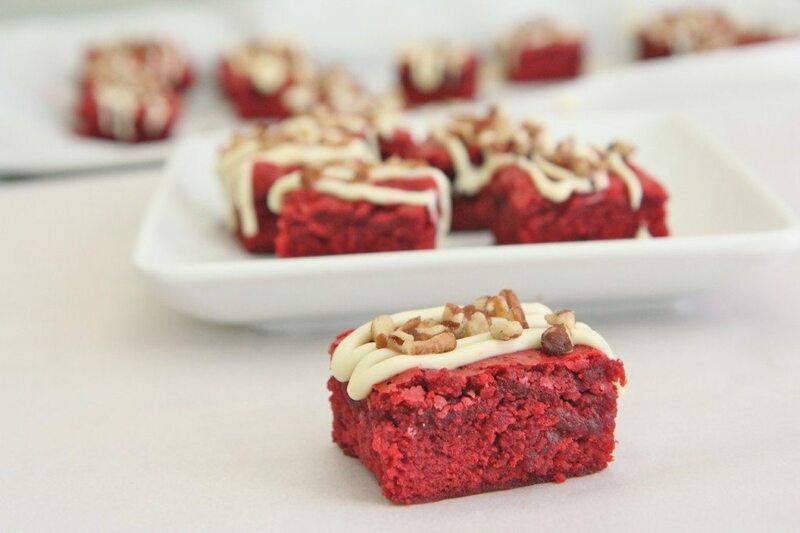 Watch me make these chewy red velvet brownies from start to finish! Line an 8 x 8 glass dish with greased parchment paper. Mix in buttermilk, vinegar and vanilla. (Batter will be speckled). Add food coloring and mix to combine. Mix in unsweentened cocoa powder. Mix until smooth and well combined, being sure to scrape down the sides of the bowl. Pour batter into prepare pan. Bake for 30-35 minutes or until center is set and toothpick inserted into center comes out clean. Cut brownies into small squares. 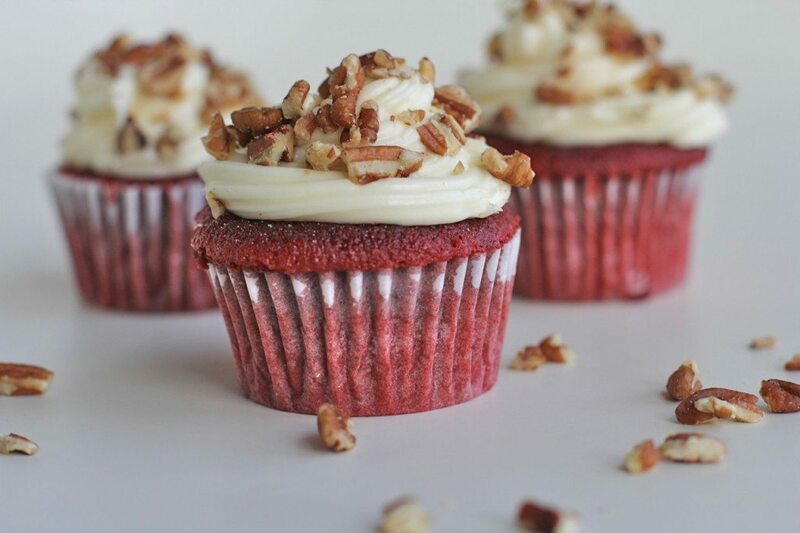 Want More Red Velvet Flavor? I added the white sugar, brown sugar and melted butter. After I blended, the batter was not creamy like yours. It was runny. The second time I let the melted butter cool off to room temperature first. It was still runny. I cant get past the first 3 ingredients. What could the problem be? Help! Mine did not come out like this! Ugghhh! What did I do wrong?? lolol..Gonna try again! These are beautiful!! I made these last week,Delicious! 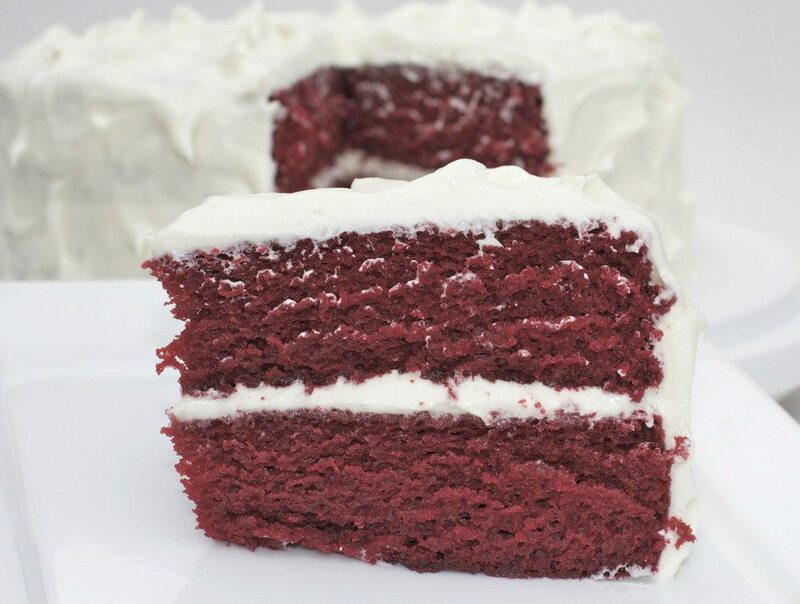 I love red velvet.I plan to make your red velvet cake next. I made these last night. OMG!!!!! Is all i can say. My kids and friendsand co workers love them. Thanks for this great recipe once again. I love all your recipes. Can you double this and make them in a 9×12 pan? I would like to make these tonight! Do you think a milk chocolate frosting would work?